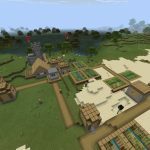 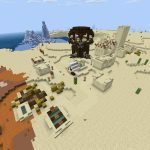 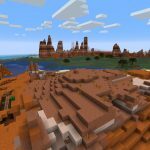 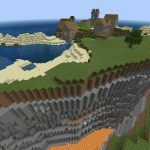 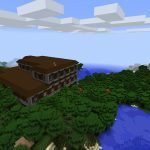 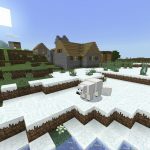 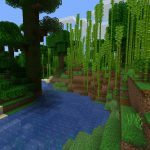 Spawn into a massive badlands biome in this Minecraft Seed for Java Edition. 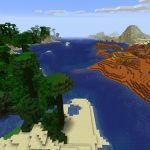 Found in Minecraft 1.13, this seed features an expansive badlands (mesa) biome that is surrounded by ocean and cut up by rivers and tributaries. 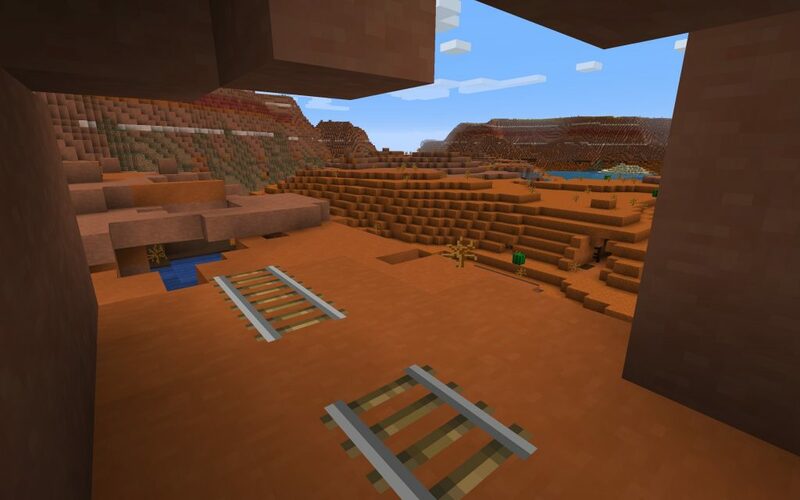 There’s many abandoned mineshafts, and several areas where you’ll find rails and other usually underground items out on the red clay surface. 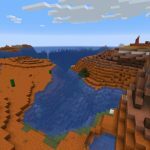 Although close to spawn, we’ve included a few coordinates so you can get straight to rails, a mob spawner and abandoned mineshafts right from the get-go. 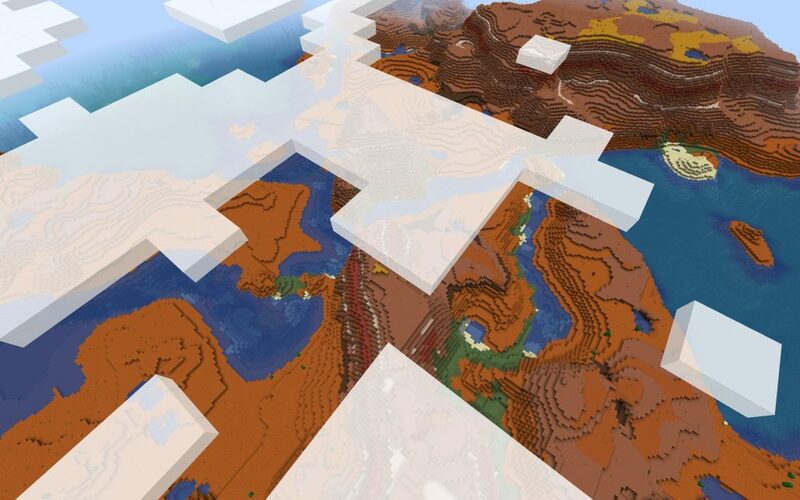 The badlands/mesa biome is massive. 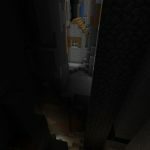 If it’s cobwebs you want, you’re in luck. 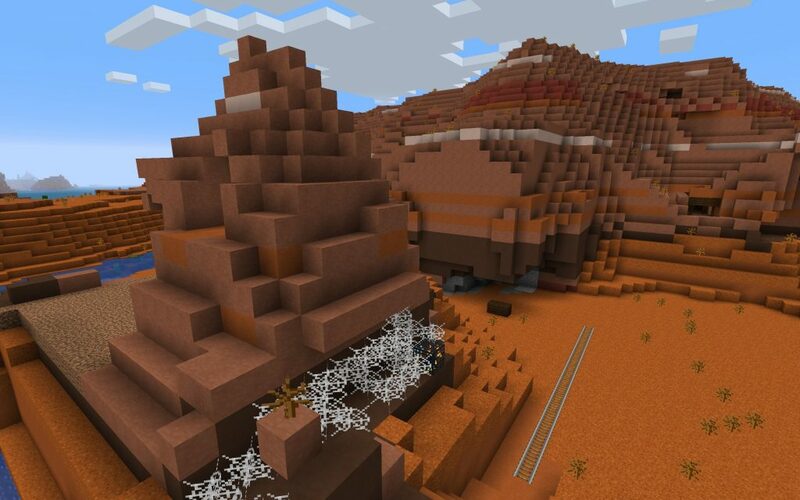 The badlands/mesa biome is riddled with abandoned mineshafts. 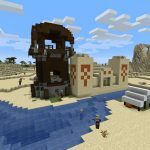 Chest Loot Seed: Minecart with Chest x11 by Spawn!